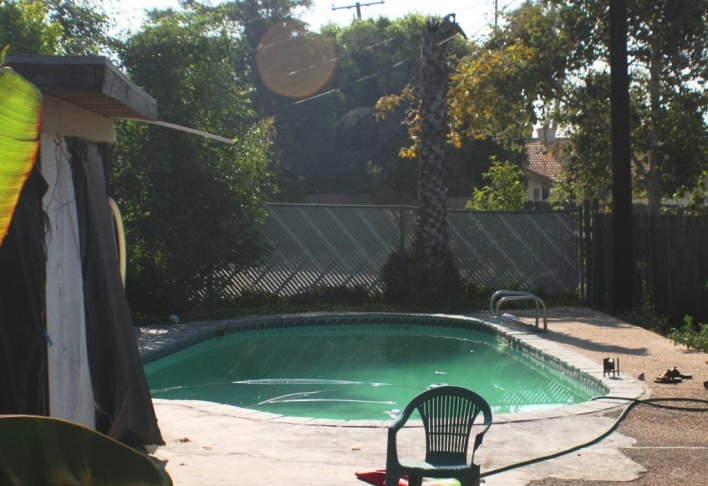 The backyard swimming pool in Rialto where Rodney King was found dead. 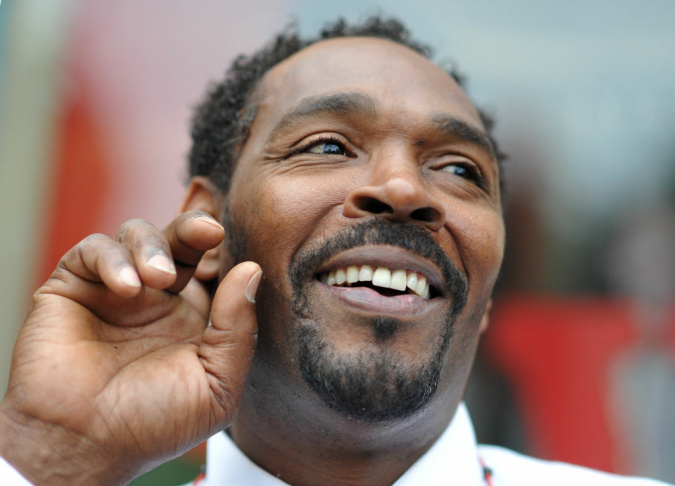 Rodney King speaks with fans before presenting his autobiographical book 'The Riot Within... My Journey from Rebellion to Redemption' at the Eso Won Book Store in L.A. on April 30, 2012. 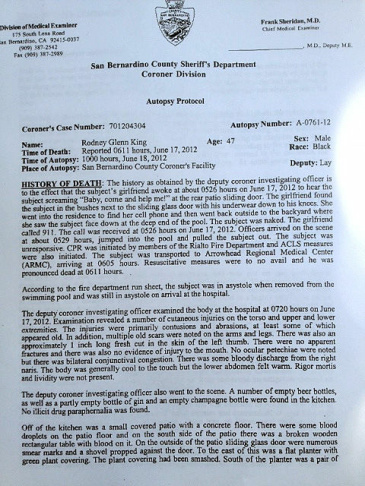 The first page of the coroner's report on the death of Rodney King. 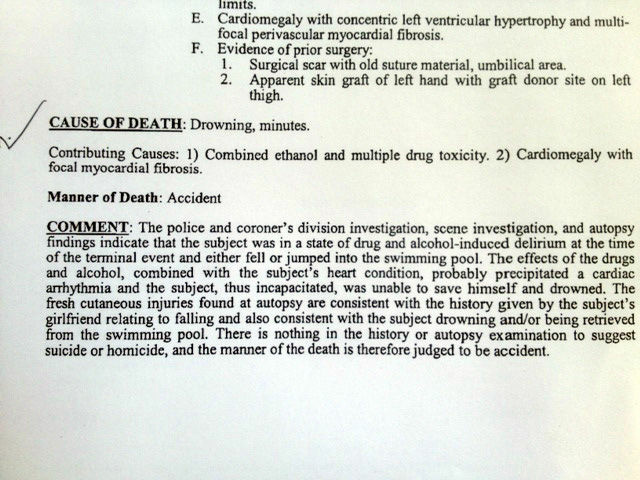 The portion of the coroner's report listing the cause of death for Rodney King. 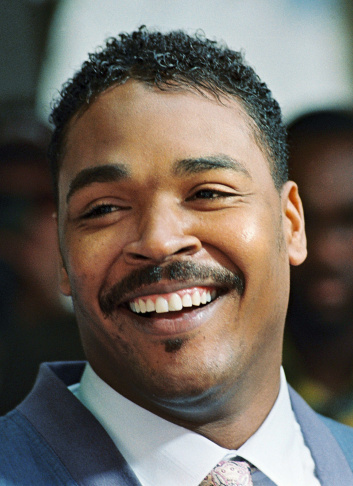 In this May 1, 1992 file photo, Rodney King, the Los Angeles motorist whose beating by police was captured on videotape and subsequent acquittal of the officers led to widespreads deadly riots, smiles in Beverly Hills, during a press conference. The coroner's report on the death of Rodney King says his death was the result of an accidental drowning, but alcohol, cocaine, marijuana and PCP in his blood were contributing factors, according to the 100-page report. King was the black motorist severely beaten by Los Angeles police officers in 1991. The officers' acquittal on beating charges sparked the devastating 1992 Los Angeles riot and also led to reforms at LAPD. Rialto Police and the coroner concluded that King "was in a state of drug and alcohol-induced delirium" at the time of his death. King either jumped or fell into the pool. Due to the effects of drugs and alcohol, combined with pre-existing heart trouble, he suffered "cardiac arrhythmia," according to the report, and King, incapacitated, was unable to save himself and drowned. King drowned within minutes, according to the coroner. There was no "fresh trauma" to the head or torso, and abrasions on King's body were consistent with "falling into or being retrieved from [a] pool." The report said there was nothing in the autopsy or King's history to suggest suicide or homicide. King’s fiancee called 911 when she found him submerged in the deep end of the couple’s swimming pool. Officers arrived a few minutes later, pulled him out and tried to resuscitate him. King was later pronounced dead at a nearby hospital. At the time, authorities treated the incident as an accidental drowning. King was an avid swimmer. But he admitted to a lifelong struggle with alcohol and drug abuse. Steven Lemen is the attorney who represented King at his 1992 civil lawsuit against the LAPD. The two remained close friends. 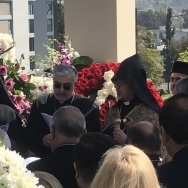 At a funeral for King earlier this summer, Lemen recalled a conversation he had with King shortly before winning a multimillion-dollar settlement in the LAPD civil case. "One day I said to him, someday this is going to be a closed case in my office. But you have to live as Rodney King afterwards. I don’t know if you can handle that. And maybe ultimately he wasn’t able to handle that. A lot of people say, 'well here’s what he is, here’s what he means.' 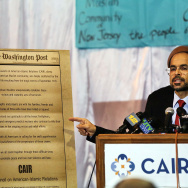 This is about a soul that was a good person," Lemen said. King’s semi-retreat from the public spotlight was also punctuated by brushes with the law. Those included convictions for drunk driving and domestic abuse. Unlike his 1991 encounter with LAPD officers, a Rialto police spokesman says King had a congenial relationship with the city’s cops. At King’s memorial, the Reverend Al Sharpton acknowledged King’s ups and downs, but said it would be unfair to define him by those struggles. "Mistakes people make in life should not be the things that define them. It’s the ability to rise above mistakes. I don’t know if any of us could have taken what he took and still rise above it. So whatever you wanna say about him, you should first say he turned his scars into stars and showed the nation a better way," Sharpton said. A statement says the San Bernardino County Sheriff-Coroner Department will not hold a press conference or make any further statements.